EarSonics is one company that needs no introduction and has been a major player in the audiophile world since the launching of the SM3 which many had adored and kept as part of their growing collection. The SM64 was next to be unveiled which also justified flagship status by not only improving on the sonic qualities of the SM3 but also delivering yet another incredibly capable IEM. It comes as no surprise then, that when EarSonics had announced a further IEM in the makings, the news received great reception and the audiophile community were eagerly anticipating its release. Enter the EarSonics Velvet, the first in their new Premium Signature line, and the first to offer sound tuning with 3 different sound settings. Priced at 749EUR, the EarSonics Velvet is by no means an entry level IEM but has earned its price tag through years of research and development into building a triple BA driver IEM with HQ crossover technology and a dial to adjust for listening preferences. What is interesting about EarSonics is that it has a clear house brand and their product line-up all fit within a certain image as well as having a particular house sound. This shows that a lot a thought is put into each product and EarSonics have certainly developed a cohesive range of unique IEMs for their customers. The EarSonics Velvet comes in a classy black box fitted with foam to rest the IEMs and accompanying accessories. Within the box, there is a card of thanks as well as instruction manuals on how to adjust the sound dial. EarSonics have provided an adequate selection of tips including 1 pair of small bi-flanges, 3 pairs of medium bi-flange, 1 pair of large bi-flange and 1 pair of round disc flanges. 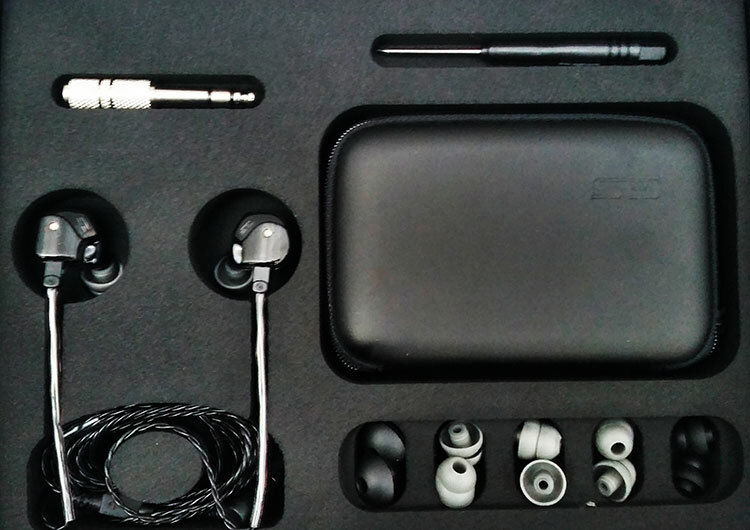 They have also provided a 5mm to 6.3 mm adapter, a soft luxurious carrying case, cleaning tools and a flat-head screwdriver to adjust the sound dial. Whilst by no means excessive, the collection of accessories is comprehensive and may even be more than what is needed to satisfy the average audiophile’s needs. The Velvet comes in a black plastic piano gloss housing which features the innovative sound dial with 3 raised dots to indicate the positioning of the 3 different sound settings. The listener is able to adjust this by turning the dial continuously via the screwdriver provided and following the instructions seen in the manual. This was initially a cumbersome process but is now much easier to perform following a bit of practice and sufficient lighting conditions. I was disappointed to see that the sound dial was easily susceptible to scratches from the screwdriver but of course this had no impairments on the form and function of the dial itself. 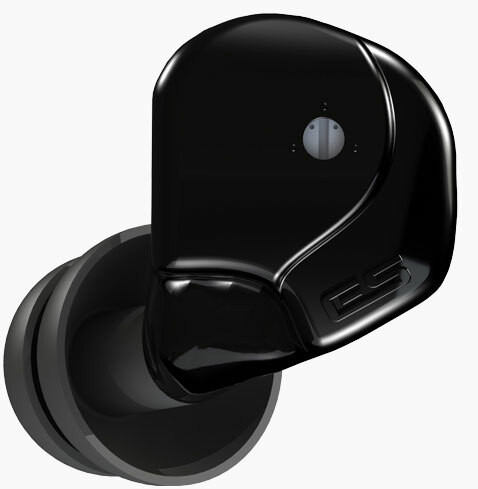 The first batch of the EarSonics Velvet was also suspect to quality issues with some listeners experiencing minor cracks on the plastic portion of the right earpiece. EarSonics have since attempted to fix this issue, however, with the release of their second batch improving both the quality and much needed durability of the IEMs. Another aspect which has tremendously contributed to the durability of the Velvet is the cable and consequent strain reliefs. EarSonics have chosen to employ a tightly braided cable with strong connections to the Y-split and earpiece itself. The over ear cable comes complete with a shrink-wrapped plastic material which is easily adjustable and optimally comfortable for long listening sessions. EarSonics have pulled out all the stops to make the Velvet an ergonomic experience and to that extent, they have successfully made a fatigue-resistant product both in sonic and physical terms. The housings, although large, rest comfortably on the outer portion of the ear without causing any irritation or falling apart. In terms of isolation levels, I found that they were slightly above average but certainly did have room for improvement given that background noises could be heard from low volume levels. EarSonics offer three different sound tunings which can be adjusted by lining the dial with each of the 3 raised dot markings on the housings of the IEM. These include a balanced sound, a warm sound and a tight sound. The balanced sound offers a setting which has no emphasis on any one of the frequency ranges and therefore is the closest of the three to neutrality. However, it is not quite neutral due to the slight upper midrange recession and treble prominence. The warm sound places a great degree of emphasis on the sub-bass department promoting rumbling lows and delivering weighty impact whilst still retaining treble extension. The tight mode conveniently presents the opposite signature to what the warm mode offers with even further treble extension, mid-centricity and more articulate and taught bass. On the balanced and warm modes, sub-bass and mid-bass are outstanding. Although it may not satisfy the most die-hard bassheads, the bass reaches rumbling lows and extension of the sub-bass is truly magnificent. The Velvet is capable of delivering strong and impactful lows which do not bleed nor detract from the higher frequencies. On tracks such as “Holy Grail by Jay Z ft. Justin Timberlake”, bass levels are plentiful, controlled and reach ear-shaking levels. Owing to the smooth sound signature across the whole spectrum, though, bass appears inoffensive and well-proportioned which I feel it should. On the tight mode, sub-bass levels are still impressive but do not extend as low as on the other two modes. Having said that, however, bass on the tight mode presents with higher levels of articulacy and speed and is much better able to keep up with fast-paced music. The midrange on the EarSonics Velvet is perhaps the smoothest I have heard on any IEM. Detail levels and resolution still remain uncompromised however and are even better than its already capable predecessor the SM64. Mids are slightly forward on the tight mode and are more concentrated than the mids positioned further away in both the balanced and warm modes. Vocals here sound natural and elegant. In comparison to the DN-2000, mids are warmer, carry more weight and are more intimate in the overall soundstage. On the other hand, the upper midrange is more laidback in all three modes compared to the DN-2000 due to the upper mid recession. This recession is characteristic of the EarSonics house sound and is perhaps the likely reason for the lack of sibilance and peak-free sound signature. Treble, in line with the rest of the sound signature, is smooth but still retains great levels of air and detail. The greatest levels of treble extension can be found on the tight mode and it is here where cymbals and high hats are more prominent in tracks. On the warm and balanced modes, treble delivers prominence but does not extend as high as compared to the tight mode sound setting. Like the mids, the highs lack harshness and complete the fatigue-free and enjoyable listening experience that these IEMs are capable of. The EarSonics Velvet offers an incredibly spacious presentation which feels even greater in the balanced and warm modes as a result of the less forward mids. Instrument separation is world-class and I am easily able to pinpoint the location of instruments which never merge or distort into one other. 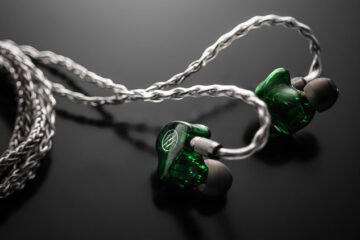 Both imaging and layering are also excellent and on that front aid the overall clear presentation style of the IEMs. Overall, the EarSonics Velvet truly offer a “Velvet” sound signature which is resolving, spacious and fatigue-resistant. From the packaging to the sound itself, EarSonics have achieved a strong brand image and one which has left me incredibly impressed. Though not analytical in nature, what the EarSonics Velvet does offer instead is a liquid smooth sonic experience free of harsh peaks and sibilance whilst still maintaining high levels of detail. As if this was not enough, the sound tuning ability of the Velvet further enhances listening experience and enables the user to boost and lower frequencies to adjust for different genres of music. The versatility coupled with the outstanding sound quality, therefore, make the Velvet a force to be reckoned with and a recommended addition to any audiophile’s collection. Acknowledgment to Earsonics and Smit Patel for supplying us with the excellent product shots and accessory kit. hi se846 vs velvet which one better??? mhm don’t know how the chances are that Mr. Patel will answer questions, but let’s try. I know you also heard the Heir Audio 8.0 IEM. 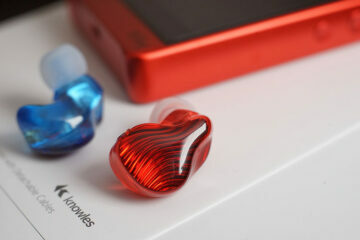 I am looking for a new IEM and I love warm & smooth sound signature. So between the Velvet and the Heir, where are the main differences (in sound tuning) and which one do you like better? Well, they have quite different sound signatures but do share some common traits. Similarities: They both have quite a smooth sound and it’s fatigue-free so that you’re able to listen to both for a long portion of the day. They both have great bass though the Earsonics has slightly more controlled and tighter bass. That’s where the similarities end and they both come into their own. Differences: The Heir Audio has a more resolving sound signature in that there are different layers to the sound and thus has more depth and atmosphere than the Earsonics. The Earsonics is much more smoother than the Heirs who have a thinner note presentation. Both are however warm, although the Heirs are a bit unique in the sense that even though the initial impression is warm, the thinner note presentation of the BA driver does extrude an element of coldness. In terms of treble presence, the Earsonics has more extension and air to its treble than the Heirs which I felt a bit rolled-off. The Heirs are also much slower in terms of decay speeds than the Earsonics so you get more drawn up high hats and cymbal notes. The Earsonics would therefore more suited to dance, EDM and tracks which have fast drum presence. The Heirs are more laidback in that sense. Overall, I’d say that the Heir would my best choice for relaxing and emotive music such as Indie, Soul and male vocals. I’d pick up the Earsonics for more fast-track music. Apologies for the late reply! I don’t get notified when someone replies to my review which makes it harder. Feel free to ask any further questions you may have. hey man. have you tried the Sony XBA Z5? If so I love the bass on them and wondered how the velvets compare?